Former Masterchef contestant Jules Allen on food and family. 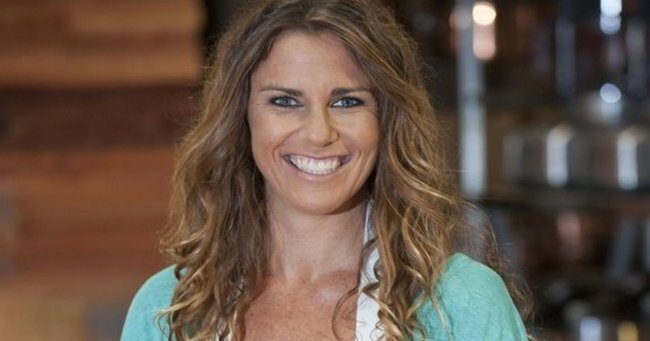 Former Masterchef 'supermum' says what parents are feeding their children is making them feel unloved. For Masterchef contestant and mother of three – (as well as foster mum to 32 children) Jules Allen despairs about what parents feed their children saying just the thought of it makes her sad. Processed junk. Food in packets. Pre-prepared sugary meals that leave a child feeling, as Jules Allen says, unloved. The 40-year-old from NSW says she wants to see more families use food to connect rather than take the easy way out through processed meals and junk food. Far from condemning busy parents Jules says she understands (and with 32 foster kids over 12 years its hard to compare schedules without feeling a little bit outdone) but that families need to realise with a little more effort they all can benefit. Jules Allen was on Masterchef in 2013. Image supplied. The award-winning youth advocate and inspirational speaker has used her time in the spotlight as a contestant on Masterchef to promote causes that she feels passionate about – food, family and helping others. Jules Allen appeared on Australian Story and talked about the difficulties adjusting to life after Masterchef. Post continues after video. Allen, who appeared on Masterchef in 2013 doesn’t understand how as a society we’ve lost that focus. She says that in busy families she finds it really sad that sharing and preparing meals is the first thing that people shelve. “When you make a kid lunch the first thing it says when someone opens that lunch box is that someone loves me. When you put treats in - not packets - but things you put effort into it says to a child someone cares." Australian children get around 50 per cent of their total energy intake from processed foods a study last year found with three in five parents saying their children prefer snack foods to ‘real or ‘whole foods’. Jules groans in dismay at the children who open up their lunch box to a packet of burger rings and a juice. Put a little more effort in" she begs mothers. Image supplied. Jules Allen says that parents who don’t find the time to cook for their kids are setting up a dangerous way of thinking. She throws out a challenge for Australian parents who say they are time poor. “Put a little more effort in" she begs mothers. "If I can make lunches for 15/ 16 years without a single packet for 32 kids other people can do it." Single mum Jules said she never had the time either - but after getting up at 5.30 every day for a run - she would hit the kitchen for at least two hours before she got herself ready for work. She recalls how she would bake cookies, cakes and fresh muffins, she says it was like a café production line but she is glad she did as it brought her teenagers together. Jules worries that modern mums are in fact making life harder for themselves by turning to ready-made meals and processed foods. “They give them packaged food” Jules says “and then you have to deal with the behaviour of the child." Jules Allen and some of her children. Image supplied. Jules, who has had so many children at times that she has had to lease out the apartment next door to house them says that when they were young they always, without fail, sat at the dinner table together. "They would sit around every night and share a table and talk for hours" she recalls. "They are the best memories. When you ask the kids what do you miss the most about not being at home its that connection through food." "Kids that feel safe and nurtured and cared for. If you think as a kid when you are playing out on the street and the smell hits you, or when you walk in the door and the smell of something mum is cooking hits you there is nothing more comforting. There is something primal about it - a sense of this is where I belong." She says for a lot of her foster kids it gave them a sense of home. “Just to put their favourite food in front of them without words it says to them I understand you are struggling. I’m here to help. It’s really simple." she says. Jules with Matt Preston. Image supplied. Jules Allen is now involved in a new cookbook called ‘A Taste of Fostering’. It was produced with the aim to share recipes that help bring families together as well as share stories and experiences as foster carers. Jules has devoted her life to helping and inspiring others. Image supplied. ‘A Taste of Fostering’ is a book for all families Jules says but she is pleased there is finally recognition about the importance of food and foster children. "I know the homes that these kids have come from food just does not feature." So she encourages us all to cook together, share meals together as a family and she says and the connection will come.